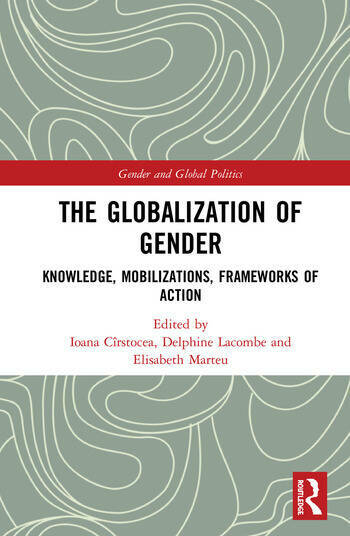 This book provides an insightful approach to understanding the contemporary circulations of feminist repertoires and shows how the international/transnational circulations of gender are interconnected, even coextensive, with the globalization process itself. Fed by a shared reflexivity on relations among activist groups, state institutions, and international actors involved in the production and dissemination of contemporary norms dealing with gender, each chapter shares methodological premises and studies the circulation of gender-related norms and knowledge in situ and by varying standpoints. Specifically, the authors de-compartmentalize the academic disciplines and go beyond classical geographic divisions, in order to map social spaces and networks of actors involved in the production and circulation of gender-related repertoires. Lastly, the book grasps circulatory processes and entangled social phenomena, which are usually subject to disciplinary and thematic divisions separating collective action and public action, development aid and feminism, law and international relations. Focused on collective and individual experiences within women’s organizations, activist careers, unstable mobilizations, public policies temporalities, the chapters reveal the mechanisms through which these arrangements are made and shed light on strategies deployed by actors rooted in specific social and political contexts. This book will be of key interest to students and scholars of gender studies and more broadly to politics, International Relations, sociology, geography, history, and anthropology. Ioana Cîrstocea is a Sociologist at the Scientific Research National Center and member of the European Center for Sociology and Political Science in Paris, France. Delphine Lacombe is a Sociologist at the Scientific Research National Center and member of the Migration and Society Research Unit (URMIS) in Paris, France. Elisabeth Marteu is a Political Scientist and Associate Fellow at the International Institute for Strategic Studies, UK.